Was Dorothy Kilgallen Murdered? What Was She About to Learn? Dorothy Kilgallen was one of the most powerful voices in America. She had a role on the popular TV show, “What’s My Line,” and she was a journalist who wrote an insightful gossip column. She especially loved covering high profile murder trials. In fact, she singlehandedly caused Sam Shepard’s murder conviction to be overturned by the US Supreme Court. More important, she was excellent at investigating. She asked incisive — even dangerous — questions. This may have led to her death on November 8, 1965. Kilgallen jumped at the chance to cover the trial of Jack Ruby, the man who shot and killed alleged JFK assassin Lee Harvey Oswald in a Dallas police station. As the New York Post put it, covering that trial would put her on a path that ended with her body being found “sitting up in bed, naked under a blue bathrobe, with the makeup, false eyelashes and floral hair accessory” she had worn for her TV appearance the night before. It is understandable that JFK assassination researchers are suspicious of the many deaths of witnesses in this case, and the unlikely explanations given for them. Here is one spectacular example: Gerald Posner, defender of the Warren Commission and author of Case Closed, said that Dr. Mary Sherman — another woman who knew too much — died in an accident. Well, Dr. Sherman was stabbed multiple times, then set afire. Some accident. In this week’s WhoWhatWhy Podcast we talk to attorney Mark Shaw, who has spent the past ten years seeking the truth about the JFK assassination, an undertaking that would lead him to investigate the suspicious death of Dorothy Kilgallen, and resulted in his book, The Reporter Who Knew Too Much: The Mysterious Death of What’s My Line TV Star and Media Icon Dorothy Kilgallen. (Published by Post Hill Press, December 6, 2016). It’s a story that makes us wonder: In today’s political environment, how safe are journalists? 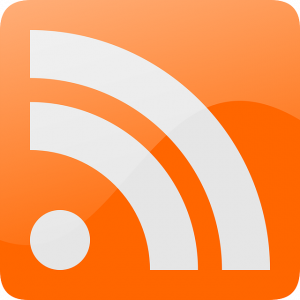 As a service to our readers, we provide transcripts with our podcasts. We try to ensure that these transcripts do not include errors. However, due to a constraint of resources, we are not always able to proofread them as closely as we would like and hope that you will excuse any errors that slipped through. Jeff Schechtman: Welcome to Radio WhoWhatWhy, I’m Jeff Schechtman. There are some stories that just won’t ever go away, mostly because the threads always seem to be unraveling and new information is always arriving. Pearl Harbor, 9/11, and the Kennedy assassination, are the most notable contemporary examples. My guest author and investigative journalist, Mark Shaw, has for years been looking at the events and people surrounding the JFK assassination. For him, like the story itself, the layers of the onion keep getting peeled away only to reveal another translucent layer. In his new book, The Reporter Who Knew Too Much, he brings into bold relief the story of famed journalist and TV personality Dorothy Kilgallen. Mark Shaw is the author of over 20 books. He is a former legal analyst for USA Today and CNN. He is a California attorney and investigative reporter who has dedicated the past 10 years to looking into the truth about the JFK assassination. It is my pleasure to welcome Mark Shaw to Radio WhoWhatWhy. Mark Shaw, thanks so much for joining us. Mark Shaw: Oh, Jeff, thank you. And if I could write as well as you do I’d have 25 bestsellers. That was just terrific. Thank you. That was great, and yes I’ve been working on Dorothy’s story. Jeff: Well, for those that are a little younger than you and I, let’s tell our listeners who Dorothy Kilgallen was. Mark: Yeah, and you know it’s amazing, we’ve discovered that the younger generation knows a lot about Dorothy because of all the reruns, you know, of What’s My Line, but remarkable woman, I’ve gained such respect for her, and I’ll tell you in a minute. You know, I never even intended to write this book. I didn’t know much about Dorothy, but there’s no media person today, I don’t care who it is, Diane Sawyer, or Oprah, or anybody, who could touch Dorothy in the ‘50s and ‘60s. The New York Post called her the most powerful female voice in America, and she was. I mean, you just look at these credits. She was on What’s My Line, as most people remember her from that as a panelist. 25 million people watched that show every Sunday night on CBS. She had a column in a big newspaper at the time, Journal American, in New York City. Her column, Voice of Broadway, syndicated to 200 newspapers across the country, and as you know, that was the time when people actually read the newspaper. They didn’t have the Internet, or television much or anything, so that was a big deal. And an investigative reporter, wow, she covered the most high-profile trials of the 20th century – the Lindbergh baby kidnapping case; the Lenny Bruce First Amendment case; and the Dr. Sam Sheppard case that became the foundation for The Fugitive television series and then the movie with Harrison Ford; and of course, the Jack Ruby case. And she did all that. She had a radio program in New York City with her husband, listened to by about 1 million people every morning for about 15 years. And she raised three kids. So you know, like I say, I don’t think anybody in the modern era could touch her. Jeff: One of the other remarkable things about her, and I was really thinking about this in reading your book, is that she was very prescient in so many ways. In the way she combines both news and entertainment. You know, we think of that as a modern phenomenon, but essentially that’s what she was doing back then. Mark: Yeah and I think she may have been the first one to be able to do it, and you know, she escaped with having credibility in both areas. Voice of Broadway was a gossip column in some ways with talking about Broadway, and show business, and entertainment, and all of that. So and then you had the What’s My Line situation, and so that was entertainment as well. But the other side of her life which I found fascinating was this whole journalist investigative reporter area, and somehow or another, despite her being kind of attached to that entertainment area, she could get away with being, what I believe, was the most credible journalist and investigative reporter at the time. Somehow or another, she did that, the respect was there. They talk about the power that she had, calling her Miss New York at one time, or people who read the book and want to go to the DorothyKilgallenStory.org, will see all of these videos of Dorothy Kilgallen that we found that had never been seen before. And one of them they’ll love is her at the Dr. Sam Sheppard case, and she’s standing amongst, oh probably 15 to 20 reporters, all just scattered around her, focused on Dorothy as a celebrity there, but also the most credible reporter at the trial. So she somehow or another got away with that, and had the respect of those people, whether it had to do with entertainment or news. Jeff: One the things about the Sheppard case which really brought her to even greater prominence is not only did she cover the story, she impacted the outcome of the story. Jeff: How did she get interested in pursuing the Kennedy assassination? Mark: Well, I tell you what I want to say is that me, I’ve written two books that have something to do with the JFK assassination, as you know, I’ve talked to you about them both. There are all these other books out there, Vincent Bugliosi, Gerald Posner, and book, after book, after book, all of us miss this. You know, we should have figured this out, and I’ll tell you in a minute how I landed on the case, but the whole thing with her getting into the JFK assassination was personal, not business. The reason it was is because JFK, she knew him as a senator, he was to her house. You know, she had this huge lavish mansion on East 80… 68th Street. He was a guest there. But what really made it personal was that when she went to the White House with her youngest son Kerry, and Pierre Salinger set up the tour, JFK came in to the library and he was so kind to little Kerry, looking at some letters he brought from his third grade classmates, one letter that he had. JFK gave Kerry a PT 109 pin for his lapel. And so, you know, that was just such a big deal to her. And so when JFK died, she took it personally. And she started looking into the case, and as she said and I wrote in the book, “You know, the person that I remember is this tall man, you know, looking down on a little third-grader talking about the letters that he had brought with him. That is the man who was assassinated in Dallas.” And so that launched an 18 month investigation by Kilgallen into the JFK assassination that continued on until the day she died. Jeff: Talk a little bit about her death and how she was found. Mark: Okay, let’s just go back just for a second, if you don’t mind, but I think it’s interesting as to what happened here, how I got on the trail of this case with Dorothy. I had written Melvin Belli: King of the Courtroom about the famous San Francisco lawyer who represented Ruby, and I had some real reservations about his representation of Ruby. So that was a biography. Then I took that, because I learned of Belli’s affinity for the Mafia, and I traced that back in a book called The Poison Patriarch all the way back to Joe Kennedy and his double-cross of the Mafia. Well, while I was interviewing a doctor working on the Melvin Belli book, he said to me, well, you know, he knew Dorothy Kilgallen. And I said, the What’s My Line woman? He said, “No, Mark, you don’t know a lot about her. She was a great celebrated Pulitzer Prize nominated journalist and investigative reporter.” And they met at the Ruby trial. And I said, “What? !” He said, yeah, and he said, “You know something you probably ought to know, right after Dorothy died, Mel (called him, Mel), said to me they’ve killed Dorothy. Now they’ll go after Ruby.” And that was what quote I couldn’t get out of my mind. I was going to quit with the two books and I couldn’t get this out of my mind. Through some real serendipity, I landed on to some never before seen videos that I say can be seen on the DorothyKilgallenStory.org, and that launched my investigation of her investigation of the JFK assassination, all the way up until she died. And here’s what we know. We know that she was at the Ruby trial and the only journalist to interview Jack Ruby. We know that she exposed his Warren Commission testimony before it was supposed to be released. We know that she was continuing her investigation and had made one trip to New Orleans where a Mafia don named Carlos Marcello was, that she suspected of being involved in JFK’s death. We know that. We know that she planned a next trip to New Orleans, and then we know that she was found dead in her apartment, her townhouse in New York City. And I have so many primary sources in this book and one of them is the hairdresser who was closest to Kilgallen, one of her best friends, who will tell you that she feared for her life and for her family. The other hairdresser, Simpson, Charles Simpson, said that Kilgallen told him, “If the wrong people knew what I know now, it would cost me my life.” She obviously was scared. Sinclaire will say that she bought a gun, changed her will. She was obviously very frightened of those people who were worried about a book that she was writing for Random House, exposing the people involved in the assassination. So Sinclaire in this video that will chill people when they watch it, says that he arrived about 9 o’clock in the morning at her townhouse, went up to where he thought she would be in a kind of dressing room place where he did her hair, and makeup and things like that, and she wasn’t there. And he walks into another room and he finds her body. And he will tell readers that it was, she was sleeping in the wrong, she never slept in that bedroom. She never slept in that bed. She was wearing her makeup eyelashes and a hairpiece that he had worked on the night before when she had her final What’s My Line column. A book that she was supposed to be reading, was upside down. It kind of looked like it had just been moved there, and basically saying it was staged death scene. So that’s how Dorothy Kilgallen died. That’s how he found her. And then of course I can get into what happened thereafter. Jeff: One of the other aspects of this is that the papers that she was working on, all of her information, all the work that she was doing, really was never found. Mark: Pretty thick file and I describe what was in it. Documents, interviews, all that kind of thing. She had the best sources in the world because of her powerful appearance to people, and all of that, and so people trusted her with things. So it was a pretty thick file, she kept it by her side, or under lock and key, and that file disappeared and has never been seen today. Now I have a belief that it’s still out there somewhere perhaps, that it may happen. As you know, I feel so strongly about an investigation that should happen here, that I’ve sent a letter along with all of my evidence to the New York district attorney requesting that they launch an investigation of Kilgallen’s death. And one of the things I hope will come out of that, Jeff, is it will find that file. Jeff: What do we know about this mystery man that she was allegedly with right after the What’s My Line show that night. Mark: People have read the book, and I guess I’m going to blow my horn a little bit there. They’re now in the third printing. You can’t even get it on Amazon. It’s going to take a few days to get it. So people have really gotten wrapped up in this, and I think one of the reasons is because I set it up as a true crime whodunit murder mystery. And I name the suspects in there. I name what’s involved with motive, and who may have wanted to kill Kilgallen for this investigation she was doing, and all of that. And one of those suspects is a guy. We can trace her steps the last night of her life, November 7. Sinclaire got her ready for What’s My Line, she appeared on that show. If you watch it, she was sharp as could be, and there was one contestant on there named Katherine Stone, from Tennessee, and during the show Kilgallen guessed that woman Katherine Stone’s occupation as selling dynamite. After the show they invited the contestants along with Dorothy and anybody else who wanted to come to the Regency Hotel. And when Katherine got there, and this is another of those videotaped interviews that I, they have on there with Sinclaire, Simpson, Joe Tonahill, the co-counsel for Ruby, and Katherine Stone who will tell readers, “Listen, I saw her in a back booth. She was with a guy. They were very close together. There was no laughing. They were having some drinks. It was a very serious conversation.” Well, I was able to track down the fact that this mystery man identified in the book was a columnist from Columbus, Ohio. And he and Kilgallen had a romance, and she then suspected him of leaking her JFK assassination investigation information to people who shouldn’t have heard what was going on there. And so, I have interviewed that man three times. He had some other interview. There’s very much inconsistencies in those interviews that make me believe that he’s a suspect, and I’ve let the New York district attorney know about him and where they can find him. Hopefully they’ll talk to him. But there’s really two really incriminating pieces of evidence, and they’re two poems that he wrote. And one is about a person at the typewriter who is, you know, muzzled and can’t write anymore words. The other one is even more incredible, and it’s all about, it comes with an image of a bartender fixing drinks, and it talks about the fact that poison could be put in one of those drinks. And of course one of the theories that I promote in the book is that Kilgallen did not die accidentally of one barbiturate, but three barbiturates in her system. And that there is no question in my mind that either at the Regency Hotel or at her townhouse, these barbiturates were, somehow or another, spiked into a drink that she was drinking, and that’s how she died. Jeff: All of which raises the question of the autopsy that followed her death, in the way that was handled. Mark: Yeah, it does. You know, people may wonder, why is this case important today? I mean, it’s 50 years ago. I would say, you know, and I think the book proves that this was murder – and murder is, you know, murder is murder, five days ago, or five months, or five years, or fifty years ago. And with a suspect out there, that’s really important. And they’re going to find out that basically this case was just covered up, not once, but twice. First the medical examiner was called from the Brooklyn Bureau, not the Manhattan Bureau. And, that I have eyewitnesses in that Bureau who are still alive who told me that it was Mafia controlled, that particular Brooklyn Bureau. And the autopsy was performed very quickly, which was unusual. And when I got a copy of it from the National Archives, I noticed that, yes, the appearance of Seconal, which people will know is sleeping pills, was evident in her system. And that’s what he used when he said that she died of a combination of barbiturates and alcohol. Of course, he put in there something that should’ve been a clue to everybody, because he wrote “circumstances undetermined.” But I noticed in the writing below Seconal, he had written tuinal, and tuinal is kind of a jump up in danger with regard to something having to do with Seconal. And he never mentioned that to anybody. Never released to the public. So there was a bit of a cover-up right there. And then three years later, Jeff, two toxicologists in the Brooklyn office, one of them had kept the bodily fluids that they needed to re-examine them when the technology was better, and they found three barbiturates in her system including phenobarbital. Well, obviously that’s not conducive to accidental overdose, or suicide, or anything else, but they did not reveal those new tests and I’m hard on him in the book for doing that, because that’s basically a crime. But then I learned from the one toxicologist’s wife who was interviewed in the book, they were scared to death because that Bureau was Mafia controlled, and they didn’t speak up. So that, in fact the one toxicologist told his wife, Kilgallen was “bumped off”. So I believe all that together really provides the foundation for an investigation now to really look into Dorothy’s case. Jeff: It was also an effort that was made after her death, really to paint her as a possible drug abuser, and an alcoholic, and use that as the reason for her death. Talk about that. Mark: Well, this is what we do today, and it’s 50 years later. But they did it then too. When somebody is suspected of something, or in this situation is found dead like that, the immediate outcry from the medical examiner is, you know, “She was a druggie and an alcoholic.” Tarnishing a reputation, that just concerns me still. We want to think the worst. We want to believe that, right away, instead of just saying, “Hey, let’s stop and think about this because there was no evidence at all in her life that she was a druggie or an alcoholic.” You watch that last program, she was sharp as can be. Sinclaire and Simpson will talk about the days before her death and how sharp she was, how great she looked, all of that. Joe Tonahill the co-counsel for Ruby, in the videos will say he was with her a few months before she died, and she was sharp as could be. But it’s just tragic. Her family let her down. The journalists let her down. The What’s My Line people let her down. And the authorities let her down. They just kind of bought that, like they bought the crazy Oswald-alone theory that J. Edgar Hoover was proposing, that Kilgallen never believed. You know, we just have to be careful of looking at things on the surface and not giving people the benefit of the doubt. And I have no question about it that if people had stopped and thought about this thoroughly. And Marc Sinclaire was never interviewed. Charles Simpson was never interviewed. There was no investigation. If they had just talked to these guys, there would’ve been an investigation. But Dorothy Kilgallen, all that’s been buried for 50 years until now, and I’m trying to be Dorothy’s voice here. I’m trying to fight for her right to justice which she was denied in 1965. Jeff: You mentioned Hoover. What did you find in the FBI file on Kilgallen? Mark: Well, they had her under surveillance for a long time. She had written some… You know, at that time our government was kind of friendly with Fidel Castro, off and on. And so she wrote some anti-Castro columns and went to Little Miami… Little Havana, and interviewed some Cubans there and wrote some pretty scathing columns about Castro. I think that was when she was first under surveillance. But then they even went to the extent of putting an informant in her circle of friends, and watching what Kilgallen was doing, talking about her private life, and her husband’s private life, and all of that. But the man that she really infuriated was J. Edgar Hoover. Because as you can imagine, seven days after the JFK assassination, she wrote a column The Oswald File Must Not Close, and she just lambasted the Oswald-alone theory. And she wrote all these columns, you know, that way. And she was the only one to interview Jack Ruby, and said that she really had questions about his, you know, killing of Oswald, and what that meant. And then of course she exposed the Ruby testimony before the Warren Commission, before it was supposed to be released. So in one FBI file you can see that her column that she wrote, and in Hoover’s own handwriting it’s written, W-R-O-N-G, wrong, wrong, wrong, wrong. So he certainly was an enemy, and he’s one of the suspects that I suggest in the book because he certainly had motive to eliminate Kilgallen before she wrote this book. Because if she had written it, Jeff, I think there would’ve been a grand jury investigation based on the evidence that she had found. Jeff: The next step in her investigation was a second trip to New Orleans that she was supposed to make about a week or two after she died. Talk about that. Mark: Well again, I hope people understand, you know, that the primary sources in the book speak to these kind of things. I just bring them to the reader and the reader can make up their own mind with regard to things. But they will see on the DorothyKilgallenStory.org website, they will see Marc Sinclaire, watch him say the following about the first trip she took there. They traveled in separate planes. And when they got there, he helped her with her hair, and then she went out and she called him at the hotel room – they were going to have dinner – and said, “Go back to New York right now. Get on a plane now.” You know, “Don’t tell anybody you are here and don’t ask me any questions about what I found here.” So he went back to New York and that happened. And then she planned this second trip, it was all set up for her to go to New Orleans, just going to be, just a few days or a week after she died. And I believe that they could not let her make that next trip to New Orleans because she was investigating Carlos Marcello, Ruby, Oswald, connecting them, all of that. You have to think about today, who would be the most ferocious reporter, you know, to be getting into something like this? What kind of a, any kind of a case or whatever? Well, in that day, it was Dorothy Kilgallen. Jeff: Based on your reporting and your investigation, was she fearful about her life? Was she fearful that she was in danger? Mark: Well, yeah, and I think again you have the eyewitness testimony of Sinclaire and Simpson. The fact that she was afraid for her life and her family; that she had bought a gun; she changed her will; she was very concerned that her youngest son there, Kerry, would be kidnapped. There had been a photograph of him in Central Park by himself in one of the newspapers. But I think the most telling remark that she made was to Charles Simpson, that you’ll see, and that was, “You know, if the wrong people knew what I know about the JFK assassination, it would cost me my life.” And so people may wonder, you know, if she was that scared, then why didn’t she go to the authorities, or why didn’t she get a bodyguard, or something like that. I think Dorothy Kilgallen felt that she was invincible, that she was such a big personality, such a big celebrity, that nobody could touch her. And I think that belief, unfortunately, is what cost her her life. 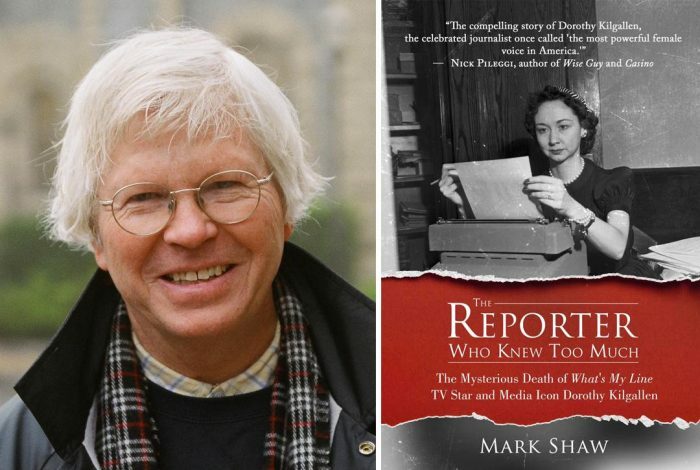 Jeff: Mark Shaw, the book is, The Reporter Who Knew Too Much: The Mysterious Death of What’s My Line TV Star and Media Icon Dorothy Kilgallen. Mark, I thank you so much for spending time with us here on Radio WhoWhatWhy. Mark: I’m honored to be on your show, thank you Jeff. Related front page panorama photo credit: Adapted by WhoWhatWhy from newspaper (Sunday Morning Cadillac / Wikimedia), JFK (NASA / Wikimedia) and Dorothy Kilgallen (Post Hill Press).